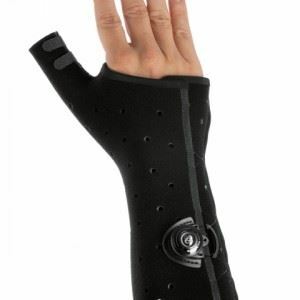 Designed to provide stabilization to the thumb, first metacarpophalangeal (MCP) joint, the first carpometacarpal (CMC) joint, wrist joint, distal radius and distal ulna. Useful for all injuries to the thumb, such as Bennett’s or complex Rolando’s fractures, suspected or confirmed navicular (scaphoid) fractures, and for other carpal bone injuries. 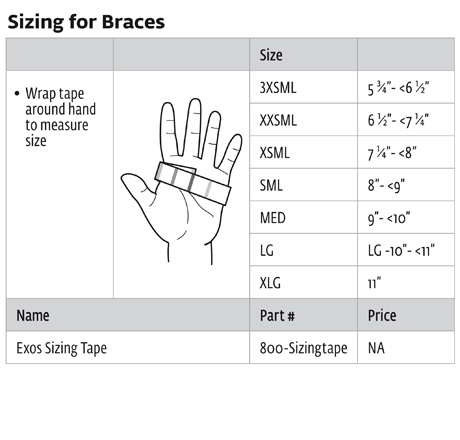 Also useful for fractures to the distal radius and/or distal ulna, Colles fractures, Salter-Harris pediatric wrist and forearm injuries. Used for acute injuries as well as for post-op support.